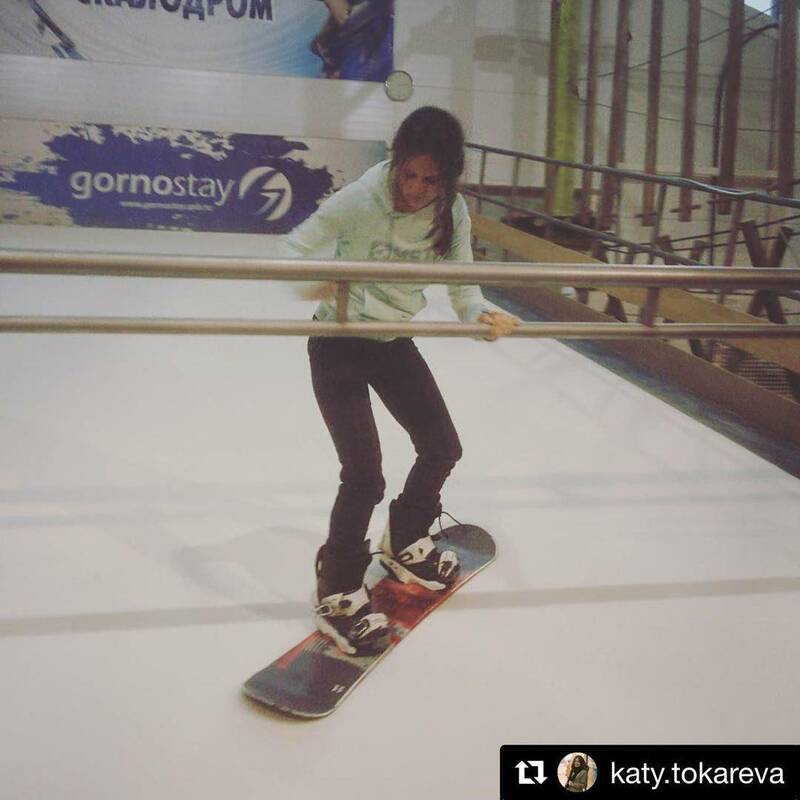 Skiing and snowboarding all year round! 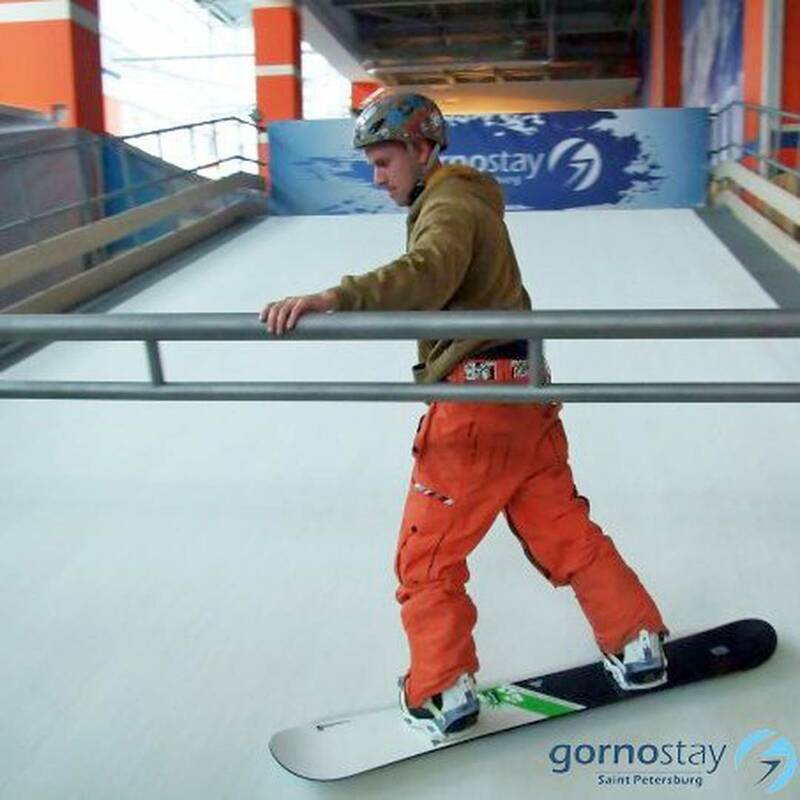 Ski simulator Gornostay is a device for exercise and training of skiers and snowboarders using this equipment: snowboard and alpine skiing. Moving steadily up the tape with a special layer that simulates sliding on the snow allows to fulfill the most common technique of riding. The ski simulator can engage both children and adults, both beginners and professionals. 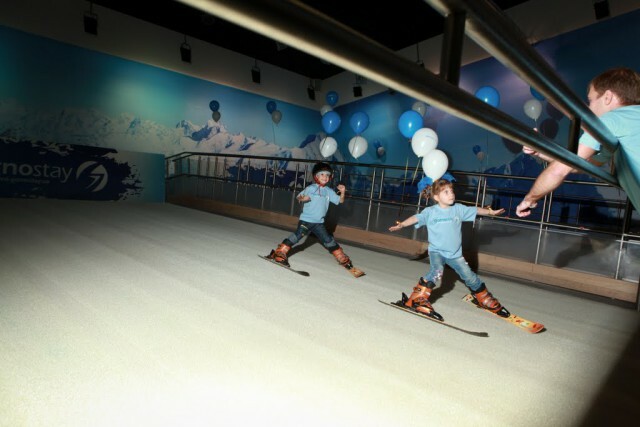 Infinitely adjustable speed of the ski carpet, changing the angles of the platform, multiple redundant safety systems, safety suspension — make learning easy and safe, and training in the ski simulator — effective. 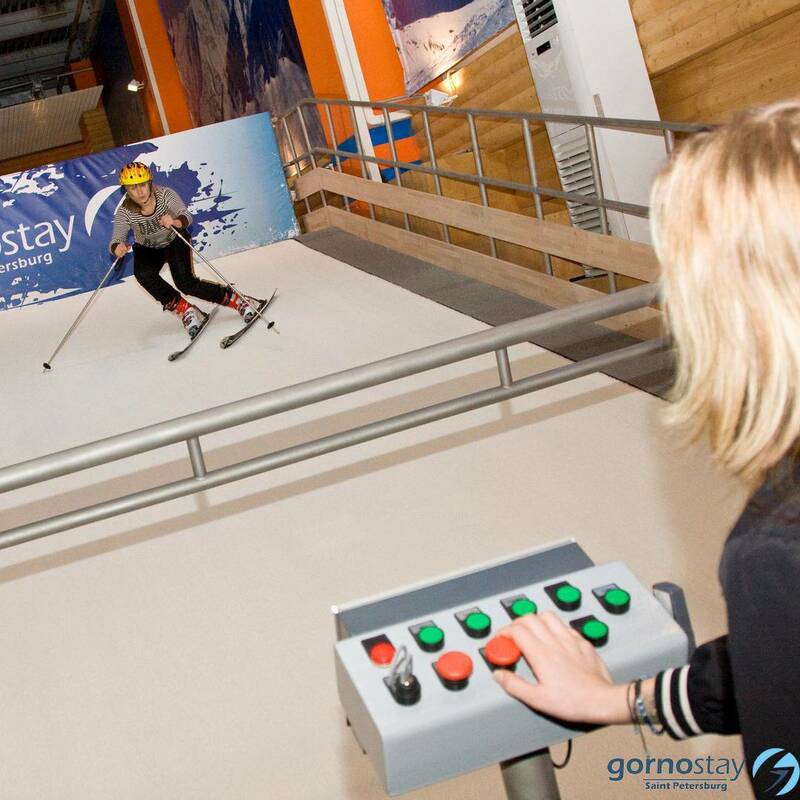 Ski simulator Gornostay can be equipped with different options that allow both to increase riding comfort, and improve business performance by using the ski simulator. 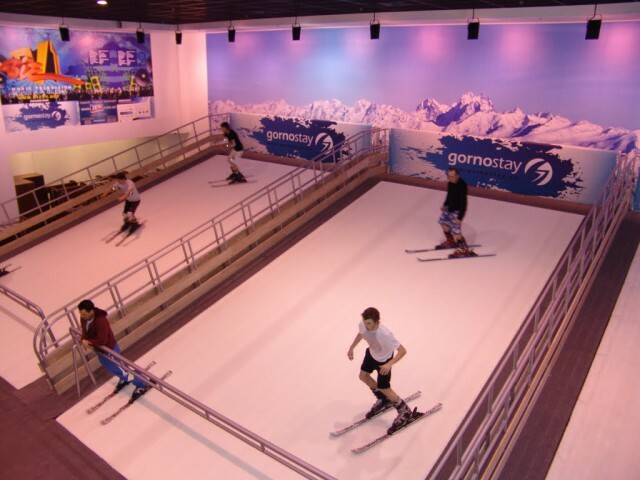 We have developed and launched production of a wide range of ski simulators, which differ in the number of simultaneously working on their people as different in size and power consumption. In 2012 there was a reorganization of the Company and changes in the composition Gornostay its owners. It created a new company and registered a new trademark. 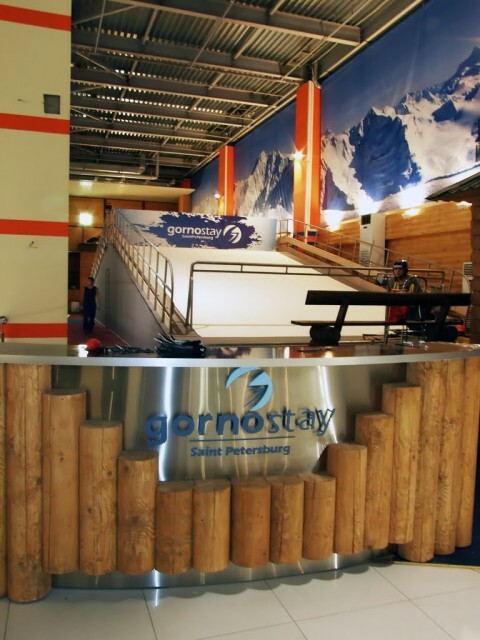 Beginning in 2012, the ski simulators Gornostay manufactured and sold under the brand name PROLESKI. 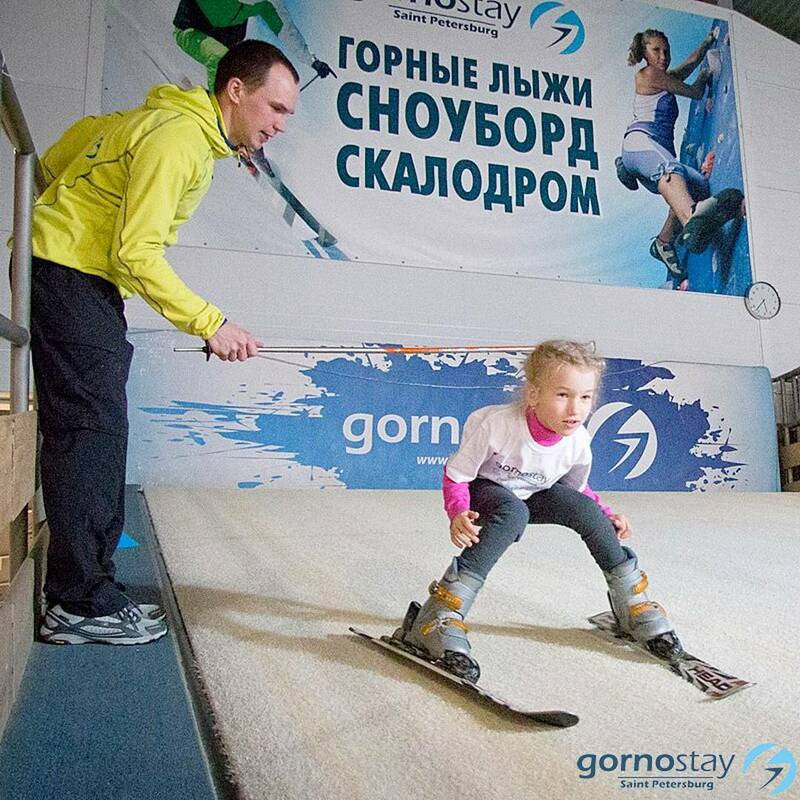 At ski simulators happy people are doing all age groups from children from 3 years and up to the people of old age. 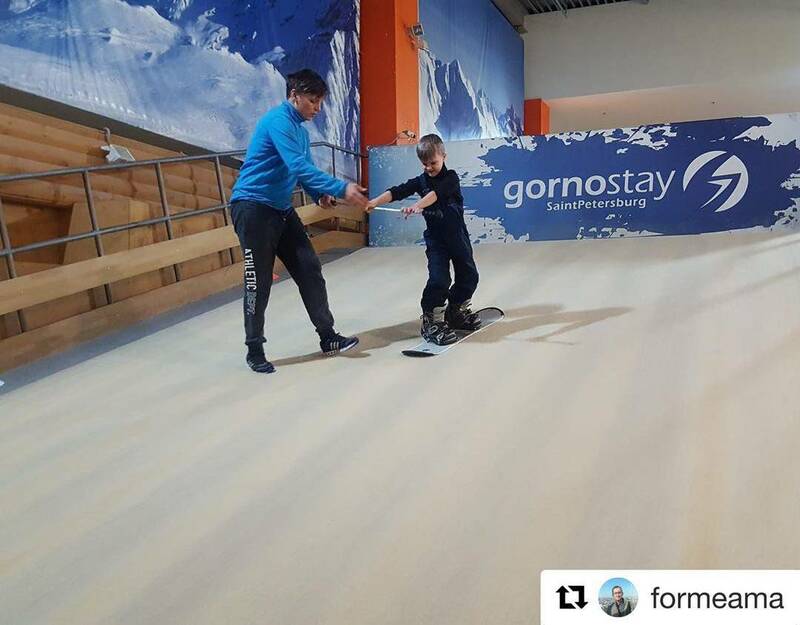 Ski simulators are ideal for those who have never stood on skis for professional athletes who need constant training to hone skills and keeping yourself in shape. 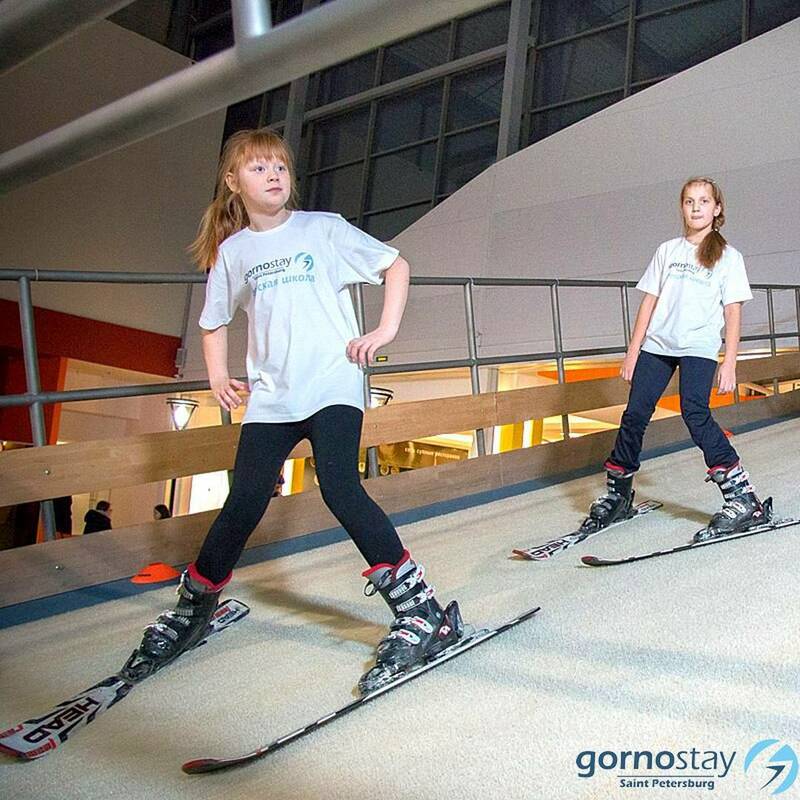 Optimally ski simulators (endless slopes) is in a shopping and entertainment centers, sports complexes, in separate capital or prefabricated buildings. 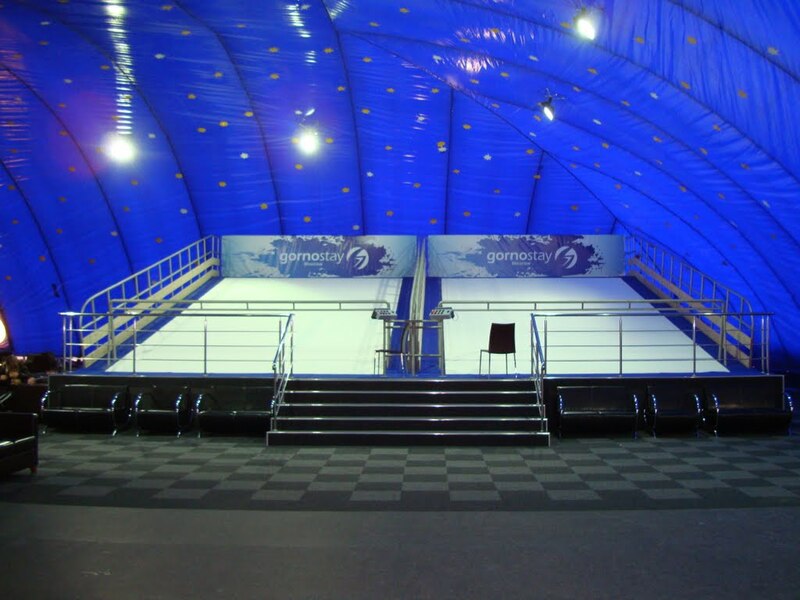 Preferably the location of the ski simulators in places with high traffic of people per 250 thousand. Population for one ski club consisting of several simulators. 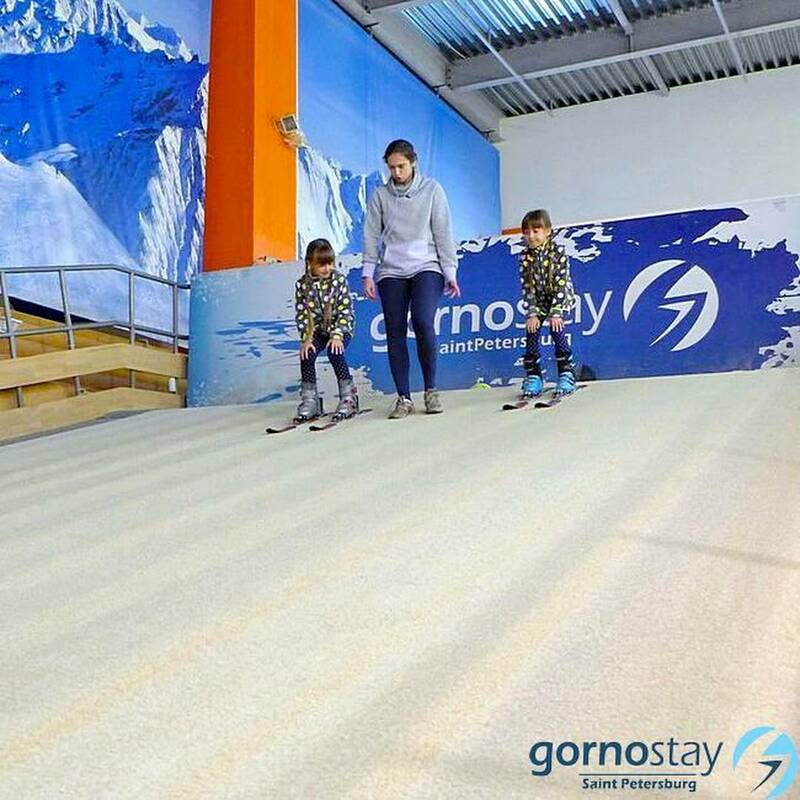 A wide range of ski simulators, allowing almost any room, given its size, as well as a budget plan for the creation of the ski club and the expected traffic of customers to provide the best bandwidth clients. Also, there are models for professional sports, providing increased speed of the tape. Year-round ski club opened in any city is sure to create around him a growing circle of outdoor enthusiasts. 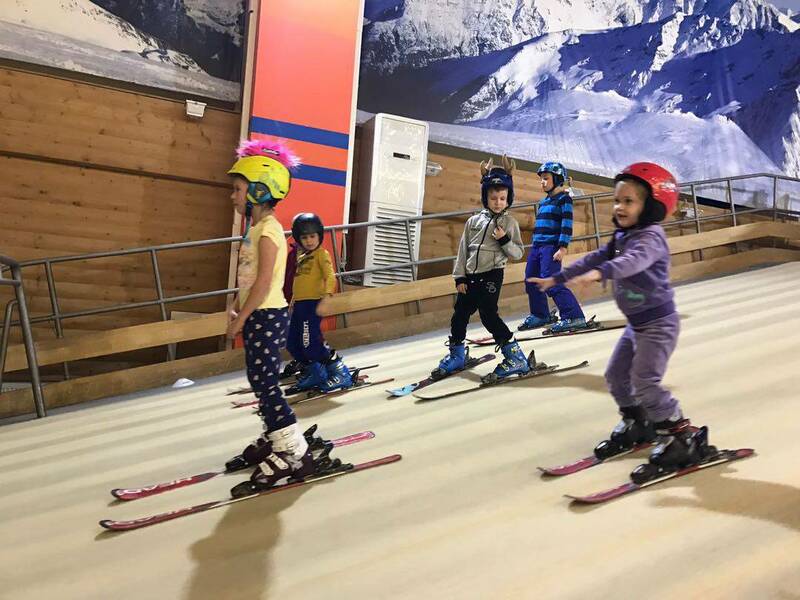 Ski Club allows even in the preparatory stages to do everything necessary for the rapid and successful development of the business, avoiding possible organizational and marketing mistakes that can occur in the case of self launch. Get information, order and buy ski simulator, endless slopes you can contact us at the following contacts.